In addition, once the lease term is over, you’ll have the opportunity to upgrade to the latest model. Explore our current CR-V lease deals and schedule a test drive today! Why Should I Lease a Honda CR-V? 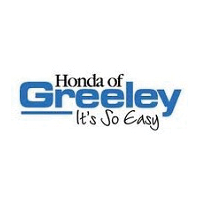 Drivers from Loveland and Longmont can enjoy all of these exciting features at a price that won’t break the bank by leasing a new CR-V at Honda of Greeley. We make it easy and hassle-free for you to get a great deal on a Honda lease. If you’d like more information, or if you have any questions, please contact us online. Or, better yet, stop by our Honda showroom in Greeley and talk to one of our friendly and knowledgeable sales associates about our affordable CR-V lease offers today.